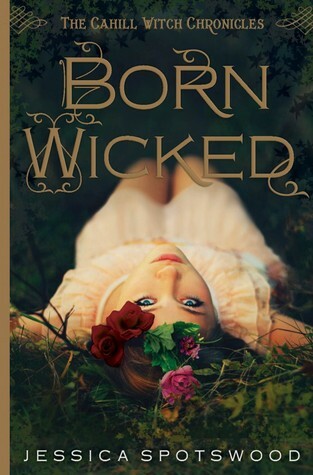 So I am going to put this out there- the books that "Born Wicked" is compared to confuses me. I love "A Great and Terrible Beauty" and anything by Cassie Clare, but I really am bewildered as to why they would be picked to explain this book. Libba Bray's book, I can see it a bit- but Cassie Clare? Um, no. Don't get me wrong- this was a fabulous book, but it is not steampunk and it is not at the level of fantasy as The Mortal Instruments. That being said- I am choosing my own descriptor- Harry Potter meets the Salem Witch Trials. So far (being finished with book one), I would not describe this as dark magic. The magic in this book seems light and fun- unlike the magic in AGaTB. This magic is much more like Harry Potter, but set in a less fantastical setting. This was an excellent book. The writing was engaging, the characters complex, and a storyline that was enticing. I loved how Cate developed and really became a woman and less of a selfish child in the book. I can't wait until the second book comes out- this is a fantastic debut. If you are a fan of magic, Harry Potter, or of just reading a good book- pick this one up- you will enjoy it! Yay! I'm so glad you liked this book! I've been really excited to read it, but I was a little worried it wouldn't live up to it's gorgeous cover. I'm glad it does! Great review! I love Harry Potter! Might just check this out!